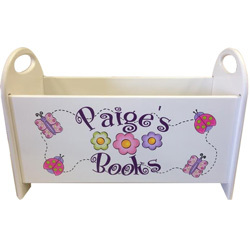 14" x 8.5" x 8"
This adorable step stool is a great gift idea for your child. 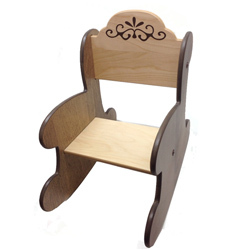 Sturdy, useful and super fun for kids to play with over and over again. 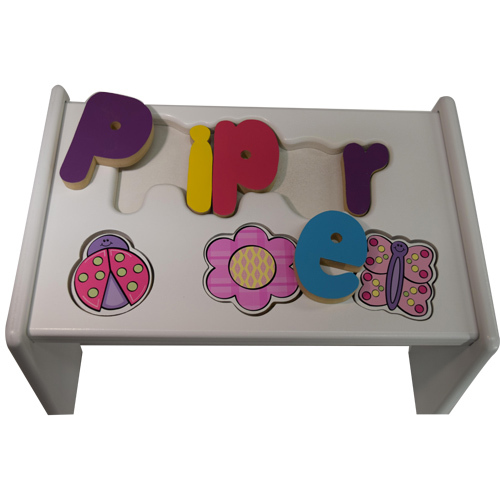 The puzzled letters of their name and cute garden themed symbols create an excitement for letter recognition and hand eye coordination. 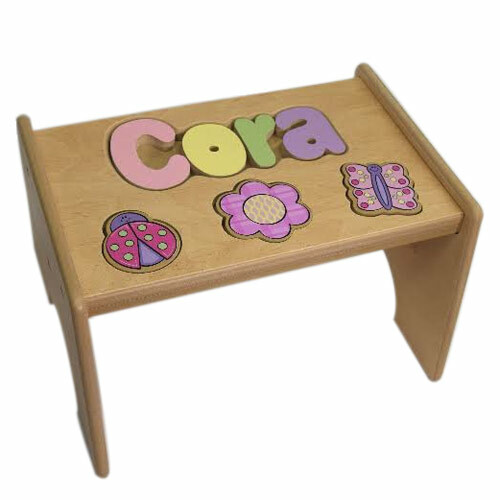 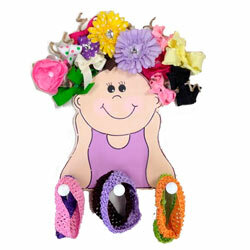 Choose the finish and letter color you like, and we'll create a wonderful item your child will love.